Everything But The Kitchen Sink Salad. This salad is full of just about everything but the kitchen sink! I used a bunch of random ingredients that I happened to have in my fridge and the salad turned out to be a success. It’s delicious and hearty! 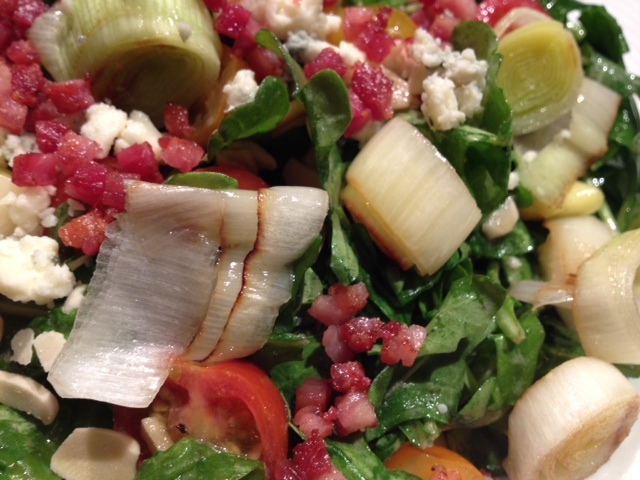 Begin by cooking the leeks and pancetta. 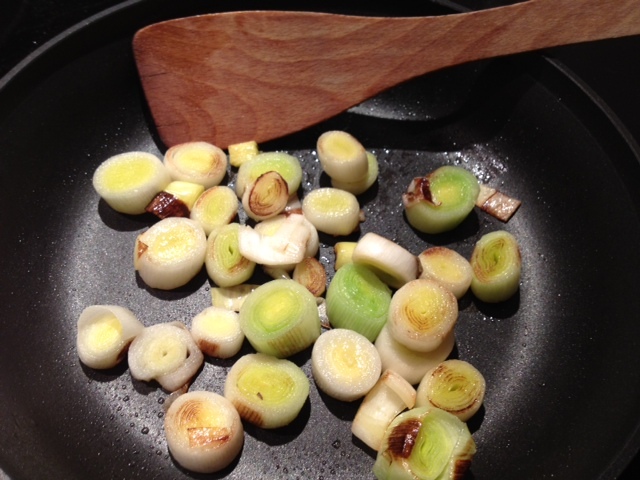 To cook the leeks, heat a tiny bit of olive oil in a pan on medium heat and cook for about 10 minutes to allow them to lightly brown. To cook the pancetta, put it into a separate pan on medium heat (no oil needed) and cook for about 10 minutes. 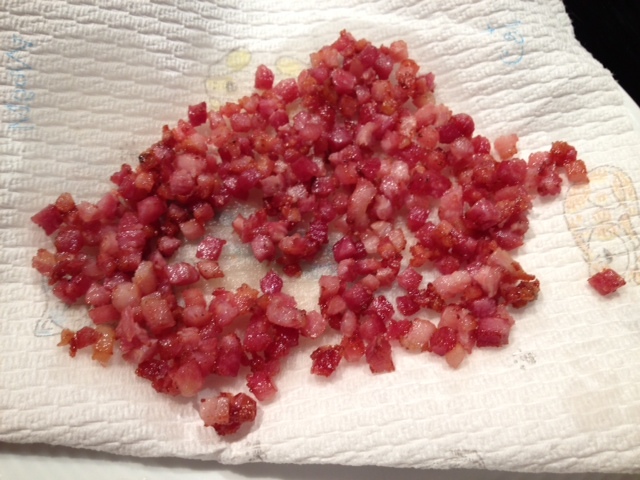 After the pancetta is crispy and brown, allow it to cool on a piece of paper towel to drain the excess fat. In a small mixing bowl, combine 2 tbsp olive oil, 2 tbsp Champagne vinegar, 1 tsp Dijon mustard and a dash of salt/black pepper. 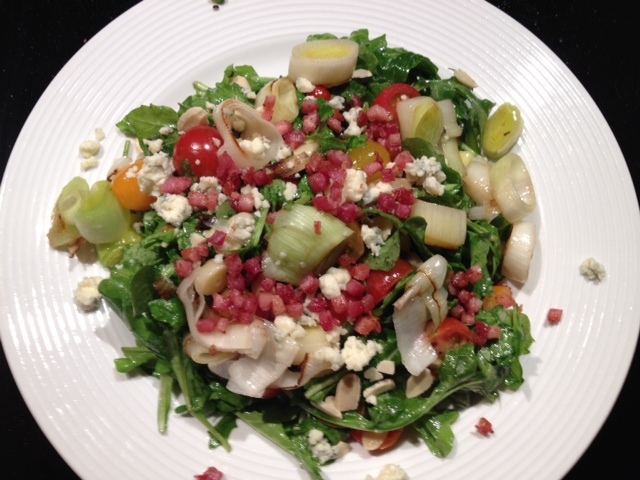 Put the arugula, cherry tomatoes and almonds in a large bowl and pour the dressing over top. Toss well to combine and then plate the salad. 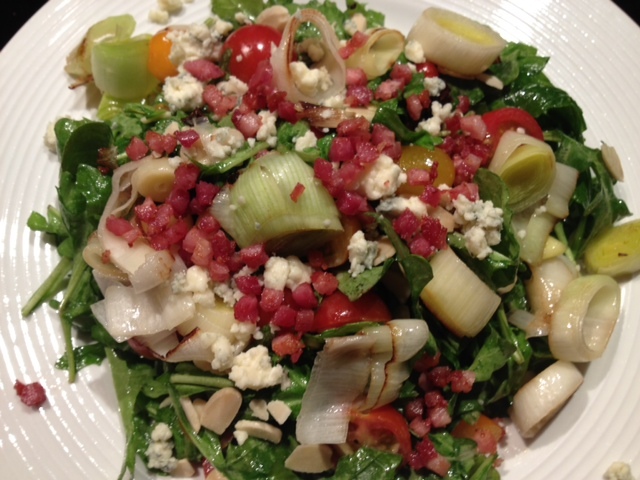 After plated, top the lettuce mixture with the pancetta, leeks and gorgonzola. ← Sweet & Spicy Shrimp Pasta.